Well, this changes things for the Redskins. 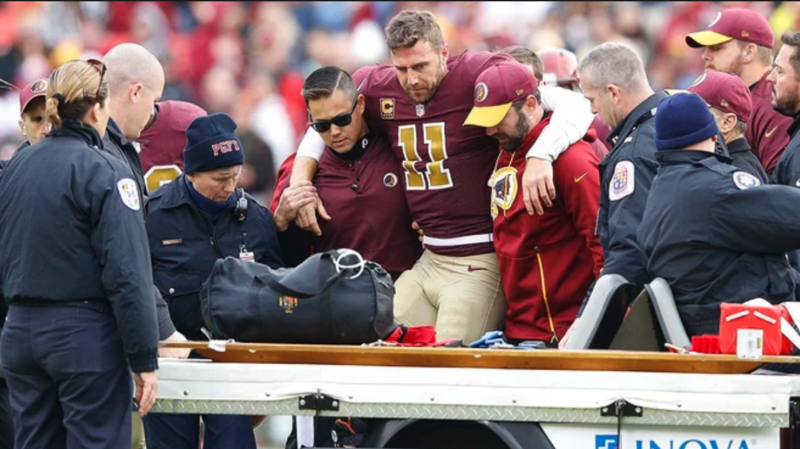 A third-quarter sack against Redskins quarterback Alex Smith ended up being much more than just a sack in Sunday's game against the Texans. Smith's leg is fractured in two places and will require season-ending surgery. This is Smith's first year with the Redskins, after being traded from the Chiefs. After Sunday's loss, the Redskins are 6-4 and sit atop the NFC East. They'll play their division rival the Cowboys in the annual Thanksgiving game on Thursday, likely with backup quarterback Colt McCoy at the helm.